I've returned from another enjoyable trip to the US South. It's a favorite destination because of the music, food, weather and vegetation. ♫ I LOVE the music ♪. The route I travelled was from Atlanta to Memphis, travelling through Alabama and Mississippi, with a stop in Tupelo where Elvis was born. His humble beginnings are a long way from his mansion, Graceland. Also in Tupelo I saw the destruction from a recent tornado. I've never seen anything like that before. So sad. 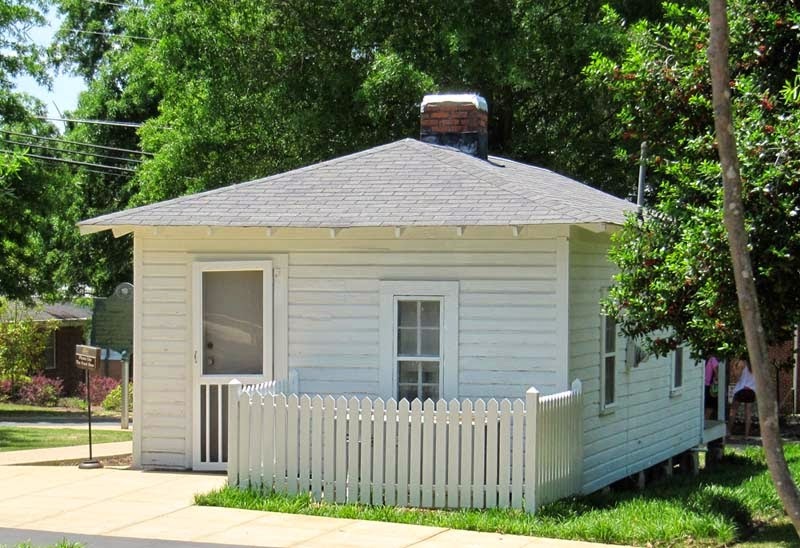 Here is the back entrance to Elvis' childhood home. There is no way to avoid Elvis once you get to Memphis...not that I wanted to. There are road signs and billboards with his face on them everywhere. 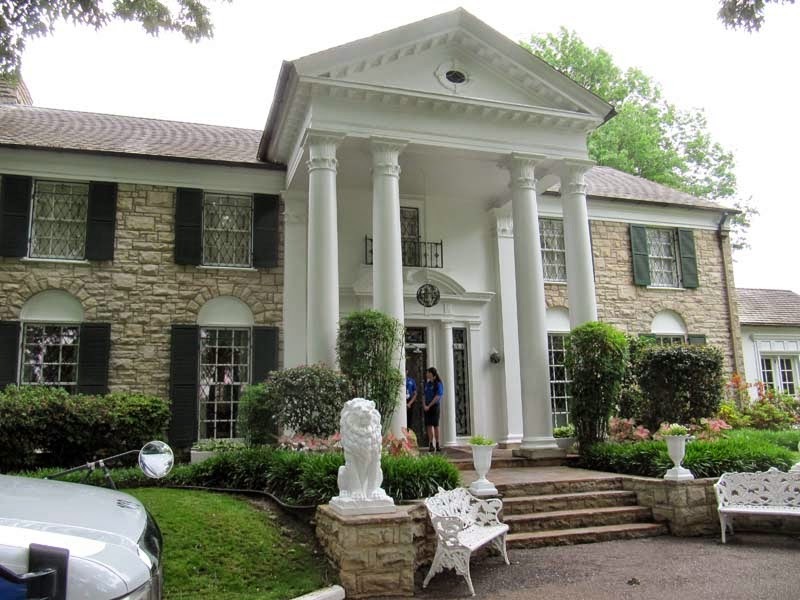 Simply put, Graceland is beautiful. I was surprised that some of the rooms were smaller than I'd imagined, but there were a lot of rooms. Besides the ones you'd expect, living room, dining room, kitchen, etc., there was the TV room with 3 sets lined up beside each other, his parents' bedroom and pool room. Most of the house is very tastefully decorated in the style of the era, but there were some funky rooms....like the "Jungle Room" where Elvis and his friends liked to hang out. The upper floor was off-limits, where Elvis had his bedroom, and where he died. We were told that the floor was closed to visitors out of respect for the family. On the grounds of Graceland was a building that was his father, Vernon's, office and there is a museum holding his awards. This is just a small portion of the awards he's won. There was another room with gold and platinum records from the floor to the high ceiling. It's one thing to know that he's won a lot of accolades, but it's mind-boggling to see them all. 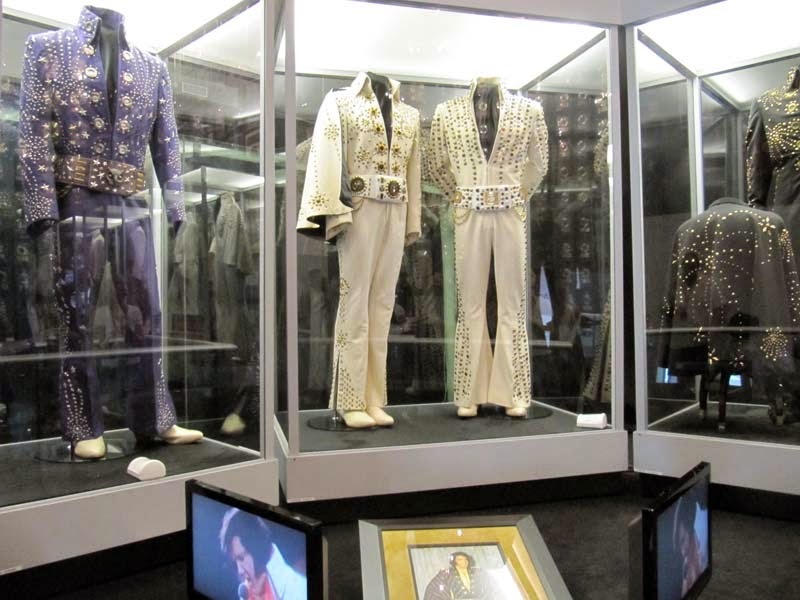 Also in the museum was clothing Elvis wore onstage and in the movies, his army uniform and the clothes he and Priscilla wore when they were married as well as baby things for daughter, Lisa Marie. There are still horses on the grounds and then we moved on to the Memorial garden where Elvis, both parents and his grandmother are buried. The last line got cut off in this photo. It reads "We miss you, son and daddy. I thank God that he gave us you as our son. 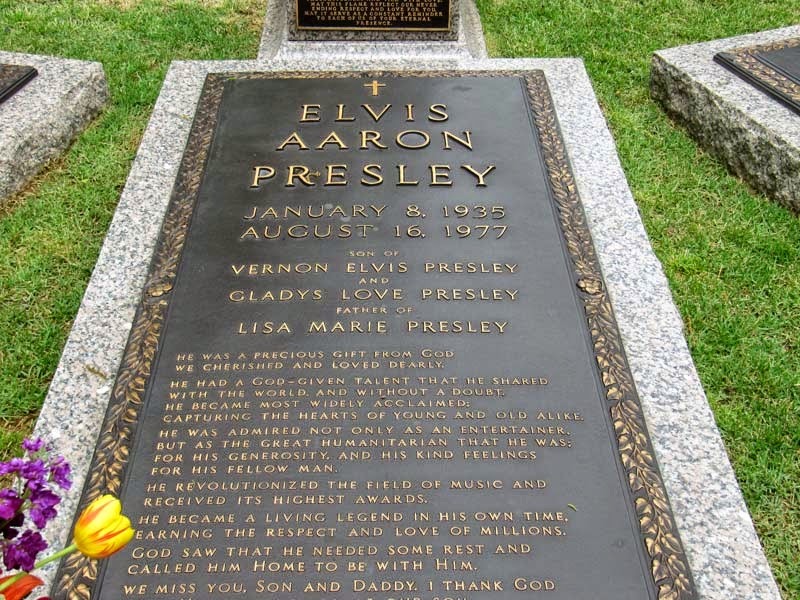 by Vernon Presley". There is also the lightning bolt with the letters TCB (Taking Care of Business). 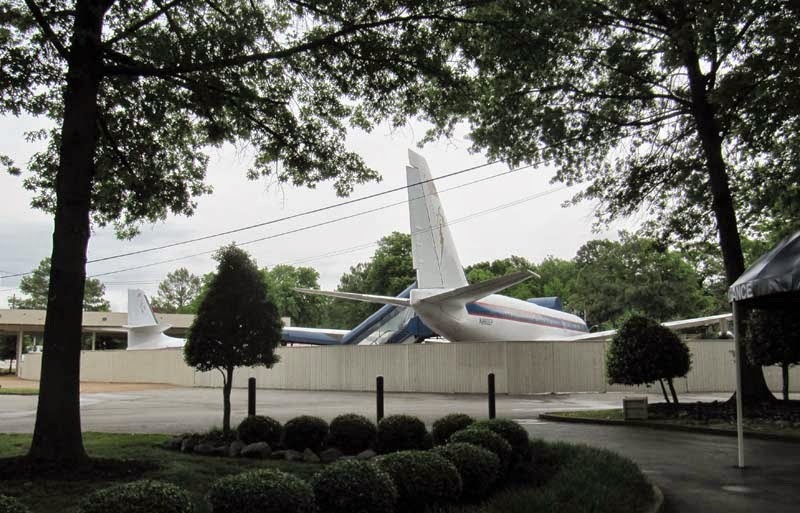 Across the street from Graceland is the ticket office for the tours, the gift shop and two airplanes, one named "Lisa Marie". 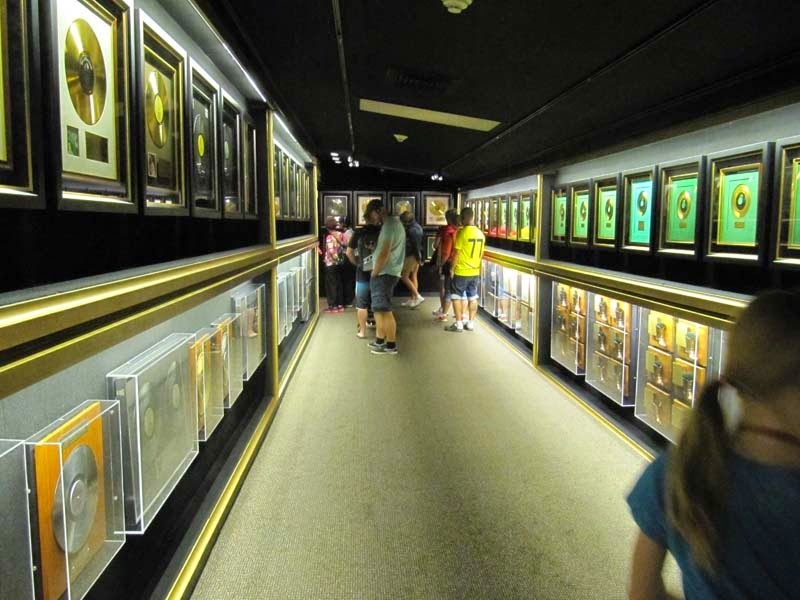 Our family took a trip to Graceland several years ago. Three generations of the family enjoyed listening to CD's as we travelled there, and then, after spending a whole day there (including one granddaughter of kindergarden age) elected to return home to Huntsville Al without taking in any other sights, full to the top with wonderful memories. That one stop satisfied us all as we paid homage to The King! The place is a very tasteful tribute.